Building a premier medical office space takes years of experience and detailed knowledge of the rules and regulations that specifically relate to medical construction. Our team at Heidan understands how critical your construction project is to your operational success. Whether you need an entirely new office or a remodeling, we provide a complete turnkey service that will deliver peace of mind knowing you have a quality group of industry professionals by your side throughout the entire project. Your medical facility will be the backbone of your business for many years to come, and this is something we always keep in mind during our design process. Not only do we want your office to fulfill your current needs, but to support your future ones as well. We also place great emphasis on designing to reduce waste and increase your staff productivity to assist in generating a thriving outcome for your practice. Full consideration of aesthetic, function and maintenance of your space with our expert recommendations. A complete analysis of all the equipment you require and their dimensions to recommend layout and workflow optimization. We work tirelessly to create a unique and innovative design that suits your business needs and is based on optimized efficiency. No surprises. We prepare a detailed line itemized budget and keep you informed throughout the project to stay on track. On time and on budget. 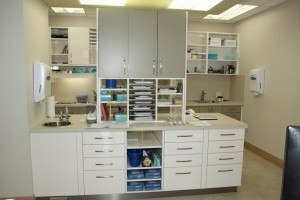 Our medical office builders Toronto team is highly experienced and committed to quality and craftsmanship. Your office is the first impression to your clients. Let Heidan Construction create a truly stunning space and allow you to enjoy a seamless and rewarding process as we professionally manage your project from start to finish.